While programming or reading code, I like to look at text on a black background, but I want to see particular colors depending on syntax. I created these themes to use with Xcode, TextMate, and Sublime Text. Cooper.dvtcolortheme.zip - black background with colorful text. Cooper.tmbundle.zip - black background with colorful text. Cooper Print.tmbundle.zip - white background with colorful text. Unzip and double click the bundles. TextMate will finish installation. 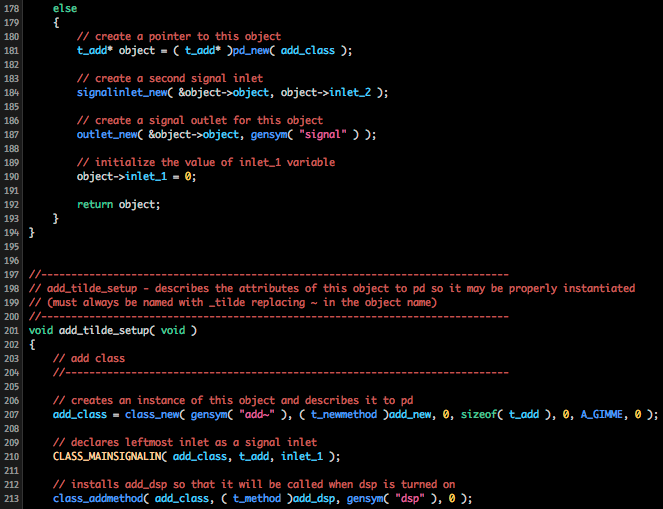 Cooper.sublime.zip - black background with colorful text and user preferences.